The bride and groom wanted to put some extra spice to the wedding ceremony while also shooting an out-of-the-box wedding photo. 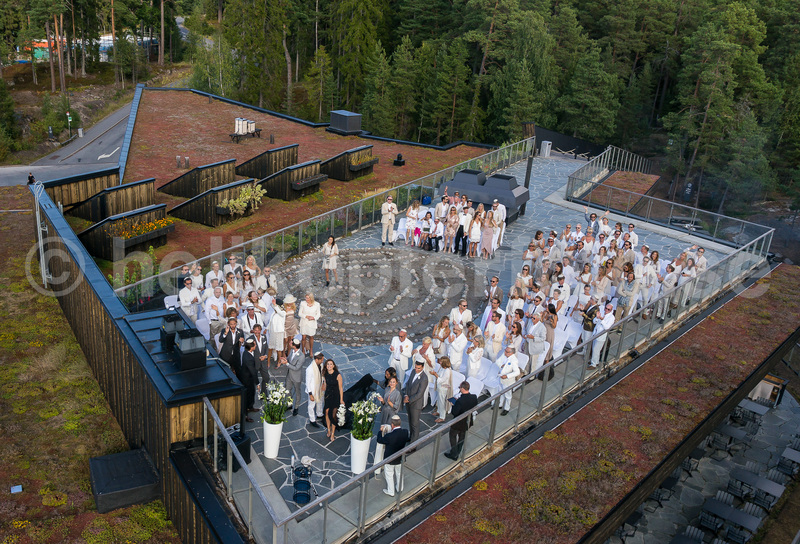 As soon as the ceremony was finished, music blasted from the sound system:while our one of our single rotor drone * majestically climbed up above the roof terrace. “Perfect timing and great pictures!” the bride writes us in an e-mail. We lift our hats and wish the couple a happy marriage. *looks like a conventional helicopter with a large rotor pointing upwards and a smaller at the tail boom. 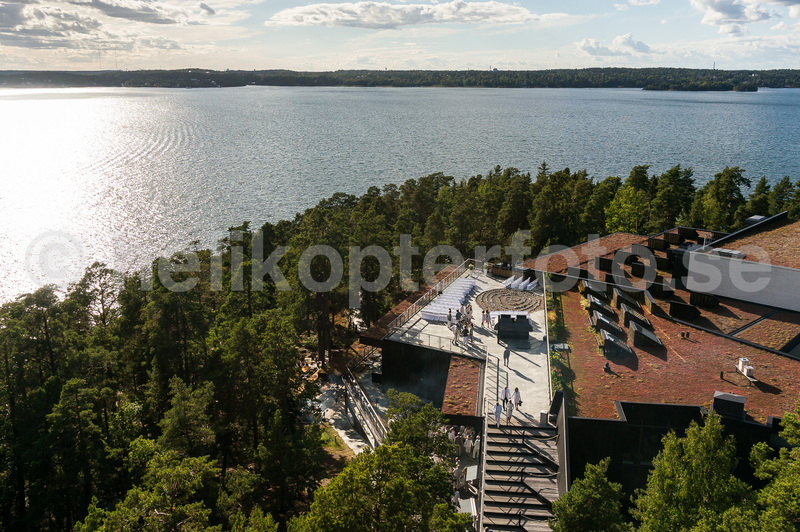 Posted in Aerial photos, Drone still photography, High altitude photography, News, Uncategorized and tagged wedding, drone, drone operator Stockholm Sweden, aerial, aerial photographer, flygfotografering, helicopter, Värmdö.